Research has shown that if schoolchildren have the habit of practicing regular sports, this may continue in subsequent years. What does football give your child? It is difficult to acquire the habit of regular sport exercises if you didn’t participate in sport in young age. Therefore, one of the most important conditions for a healthy lifestyle is introducing a child to the sport at an early age. What is the physical condition of your child? Between the ages of 5 and 8, two out of five children are obese, hypertensive, have high cholesterol and are inactive. Half of the children do not do exercises to strengthen the heart and lungs. Children under the age of 10 spend twice as much time in front of the TV as in active games. There is a direct link between watching TV and the level of fat. The participation of children in sports begins to fall after the 7th grade and may no longer grow. Many children give up sports because they believe that they do not have such a physical form as their peers. How Do You Help Your Child Get Fit And In His Football Practice? Football is a lifestyle. Football is not limited to what your child does in physical education classes and in summer school. Playing football is not only a skill acquired by giving up bad habits, quitting smoking or a sticking balanced nutrition. Get involved in football and spend a special time playing football with your kids. It will be a special pleasure and habit. Exercise and lead a healthy lifestyle. Share positive and encouraging knowledge about football with your child. Protect him from negative shocks. Show interest in your child's condition. Follow him and inspire him in football. Be careful in your criticism. Which Football Ball To Buy For A Children? What kid doesn't like to chase a football ball? They all want to have a football ball. However, a football ball for adults carries a serious danger to children. The researchers found that 450 g (5 numbers) balls played by adults resulted in injuries to children under the age of 11 years. A ball for adults is more dangerous for child goalkeepers; the allowable number for the age group of 8-11 years is the soccer ball number 4, and the soccer ball number 3 for the younger category of football players. You should pay attention to this problem when you buy a ball for your child. Our children love football very much, but anyway, we can’t use any ball to play football, for babies lighter and plastic balls are preferable. What Features Does a Child Acquire Playing Football? Children are becoming healthier and stronger. They learn to be aware of their body, to use the power correctly and to perceive the body as a single whole through the functions of different organs. Gives confidence and confidence in his strength, which increases his interest in team sports and helps him perform well in the future. Get the necessary skills to perform various physical activities. Small and large muscle coordination develops. Get the habit of physical activity for life. The concept of a positive "I" is developing. Develops the ability to be cautious, the ability to gather thoughts, be creative and include imagination. Learn to deal with problems. They are happy and responsive. Learn tolerance and cooperation, respect the rules and adequately meet defeat and success. The body grows and develops harmoniously. They increase their creativity and have the opportunity to develop their natural abilities. Learn to be polite and respect personal boundaries. One of the reasons that inspire children to the sport is the love of parents for playing sports, because it unites them. Children want to do what their families like. They enjoy doing things that bring joy to their parents and family. As we all know, the first thing that excites children is fun. Attention should be paid to what motivates children to play sports. Take the necessary steps to encourage your child to lead an active lifestyle. Find out what is effective for your child. In fact, remember that the most important feature of football is not to give up. If your child is afraid of losing, he will fail. Therefore, you should definitely not be afraid of the failure of your children. Always instill a sense of victory and courage. Keep in mind that children play sports for fun and enjoyment. In addition of being a good example for a child, from time to time be a good coach for him and a good fan. Make sure your child likes the sport in which he is involved, and do everything possible to keep your child involved in the process of playing or training. As a parent, remember that while 45% of 10-year-olds participate in team sports outside of school, this number drops to 26% by the end of high school. If your child is going to start playing football, you should choose reliable children's football products. 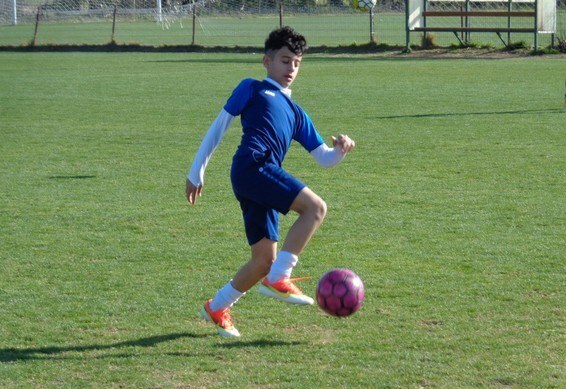 What İs The İmpact Of Soccer On Kids? What is the impact of football on the development of the child? 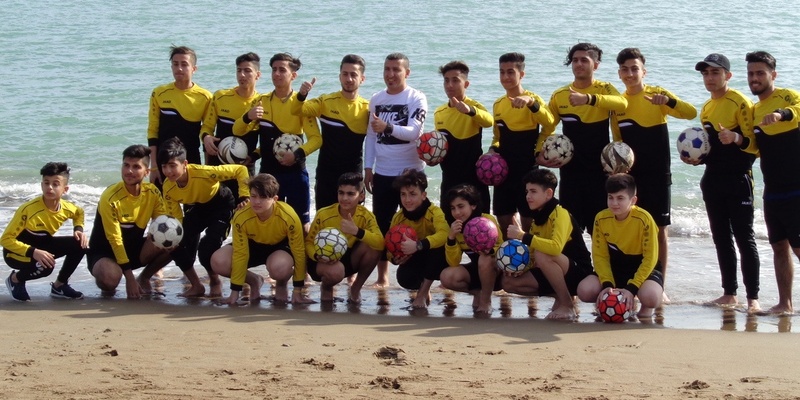 Since football is one of the most popular and favorite sports in the world and in our country, it occupies an important place in the world of our children, and for many boys, football plays a very important role in their life. Almost every boy tries to play football whenever he has an opportunity from an early age, and when he plays, he imagines himself as a football star. This is normal and expected. At this stage, it is important to know who the player is and what his characteristics are. In this sense, the success of our team begins on our children. 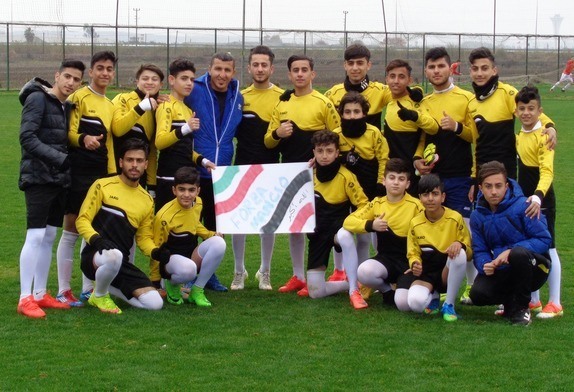 InThe Way Of The Development Of Football And Children, Young, Successful, Dynamic, Hardworking And Successful Players From Our Own Culture Are Very İmportant. From the point of view of “football and the child”, our national football players are a positive example, and they also reflect feelings of unity and solidarity. In addition, due to the fact that he is one of us, he increases the faith in ourselves of our children. In fact, it is a message that in order to be successful, you do not need to be like others. This is reflected in the street games of children, when they give themselves the names of their national footballers instead of the names of foreign football stars. How Parents And Fathers Should Affect Football And Children? In football, which is a team game, support and mutual assistance for players is important, in contrast to individual sports. Together they develop running skills, and players are happy to live a common goal and share the joys of every goal and victory. It introduces children to socialization. It is also very important because there are certain rules and restrictions, as in any sport. Also, football has more control over the behavior and affects the behavior of the child. The child should not spend hours in front of the TV or computer at home, in an unruly and uncontrollable environment. Instead, interest in football or any kind of sport gives more benefits. However, it is necessary to pay attention to the influence of football and the development of the child, there is a risk of covering the entire life of the child. For young people, it is not considered to be a healthy situation in which other areas of life are neglected, blindly imitating each act of their fans. At the moment, parents and especially fathers have important responsibilities. The productive efforts of successful and respected football stars should be brought to our youth.